3-Point Products selection of gel Tubes and packs ease pressure and friction on fingers and toes and help scar management. The vitamin enriched Gel Tubes ease pressure and friction on fingers and toes. They protect and cushion finger lacerations, ulcerations, enlarged joints, corns, hammertoes and more. They help secure splints in place when worn under custom-made or prefabricated splints finger splints. The superior durability allows these washable and reusable tubes to be used for repeated wear. The hypoallergenic oil-based polymer releases medical grade mineral oil and vitamins to soften and protect skin and assist with scar remodeling. Tubes are 1/2" (1.5cm) wide, 1 5/8" (4cm) long and fit a wide range of finger sizes. Dimensions: 6.75" x 0.62" x 4"
The Gel Mate® is a medical grade silicone gel sheet for scar management. It is self-adherent on one side and backed by an anti-microbial (bacteria resistant) cloth that glides under clothing. The medical grade silicone gel sheeting helps to flatten and soften raised scars and helps prevent formation of hypertrophic (thickened) or Keloid scars. 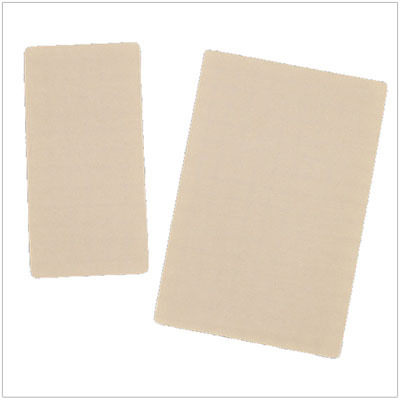 These silicone gel sheets help improve the color and appearance of new or mature scars. It is the only silicone gel sheeting applies long-term light pressure on scars, unlike rub-on gels or creams; silicone gel has also been shown to add a hydrating effect to the scar and surrounding skin that helps in increasing mobility and faster healing. It also reduces the itching and discomfort experienced when scars begin to heal. Individually packaged sheets include a measurement grid on the back to determine the amount of sheeting issued or to document progress as the scar reduces in size. Pack of 1. Size 4 by 6 inches. Latex-free. 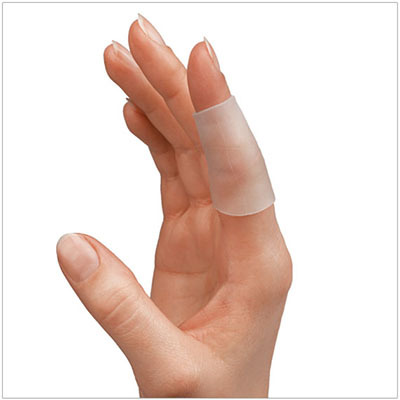 Dimensions: 7.75" x 0.5" x 5.25"
The Gel Mate® is a medical grade silicone gel sheet for scar management. It is self-adherent on one side and backed by an anti-microbial (bacteria resistant) cloth that glides under clothing. The medical grade silicone gel sheeting helps to flatten and soften raised scars and helps prevent formation of hypertrophic (thickened) or Keloid scars. These silicone gel sheets help improve the color and appearance of new or mature scars. It is the only silicone gel sheeting applies long-term light pressure on scars, unlike rub-on gels or creams; silicone gel has also been shown to add a hydrating effect to the scar and surrounding skin that helps in increasing mobility and faster healing. It also reduces the itching and discomfort experienced when scars begin to heal. Individually packaged sheets include a measurement grid on the back to determine the amount of sheeting issued or to document progress as the scar reduces in size. Pack of 5. Size 4 by 6 inches. Latex-free. Dimensions: 7.75" x 2.25" x 5"
The Gel Mate® is a medical grade silicone gel sheet for scar management. It is self-adherent on one side and backed by an anti-microbial (bacteria resistant) cloth that glides under clothing. The medical grade silicone gel sheeting helps to flatten and soften raised scars and helps prevent formation of hypertrophic (thickened) or Keloid scars. These silicone gel sheets help improve the color and appearance of new or mature scars. It is the only silicone gel sheeting applies long-term light pressure on scars, unlike rub-on gels or creams; silicone gel has also been shown to add a hydrating effect to the scar and surrounding skin that helps in increasing mobility and faster healing. It also reduces the itching and discomfort experienced when scars begin to heal. Individually packaged sheets include a measurement grid on the back to determine the amount of sheeting issued or to document progress as the scar reduces in size. Size 2.5 by 5 inches. Latex-free. Dimensions: 6" x 0.06" x 4"